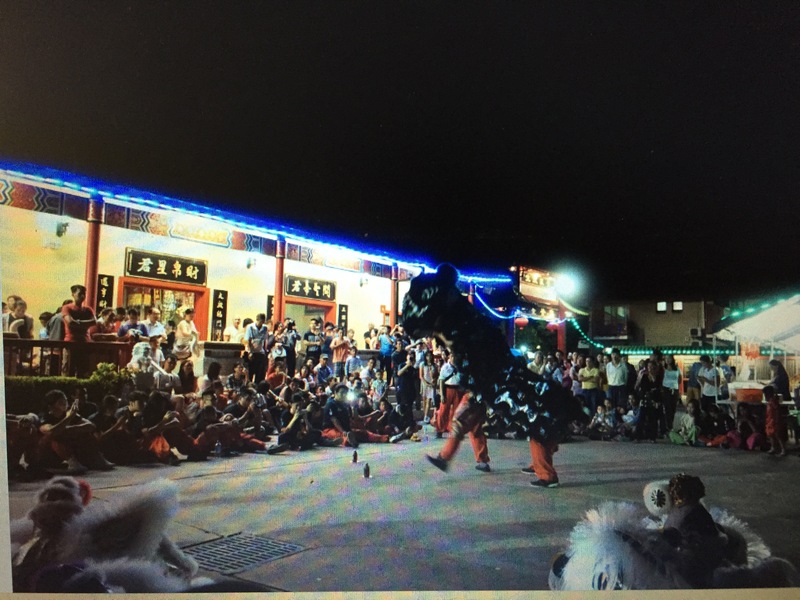 It’s always exciting to watch New Years performances from around Australia and the world. 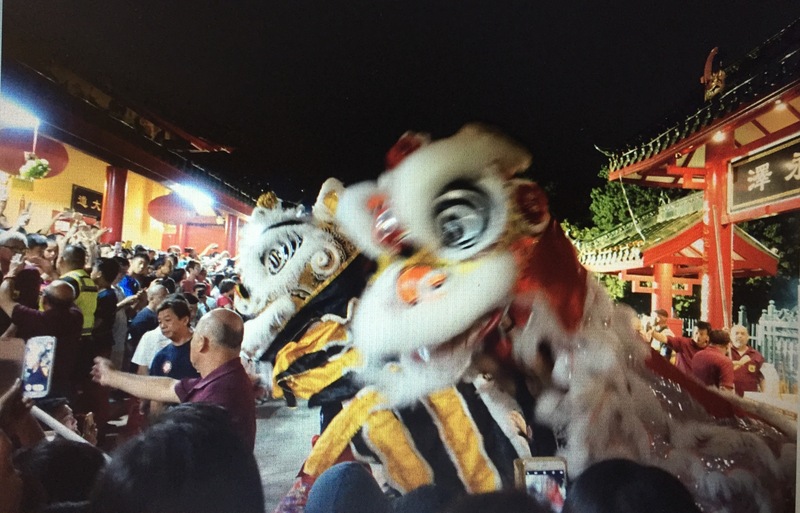 The best thing I can say is the quality of lion dancing is definitely at a higher standard than what it has ever been and the lions are getting more and more prettier. 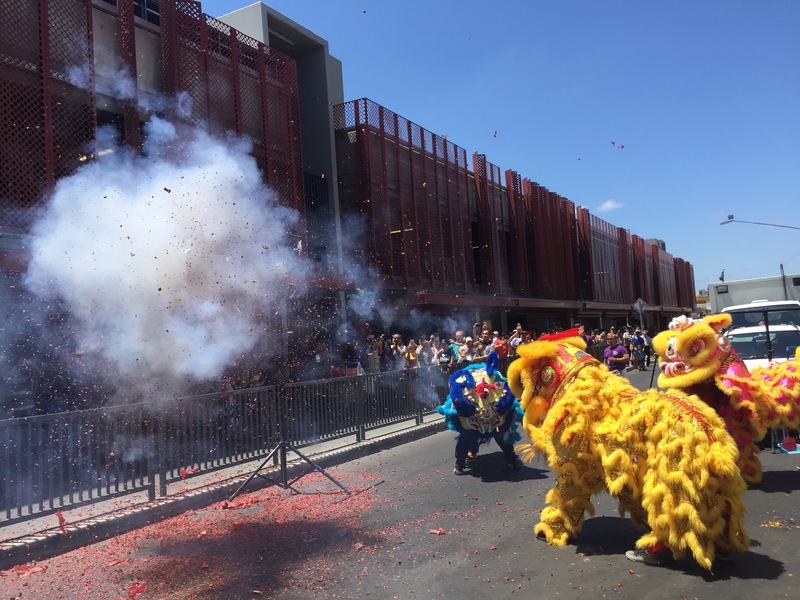 I think one of the most impressive collection of lions was at the Richmond Victoria St Lunar New Year festival down in Melbourne Australia. 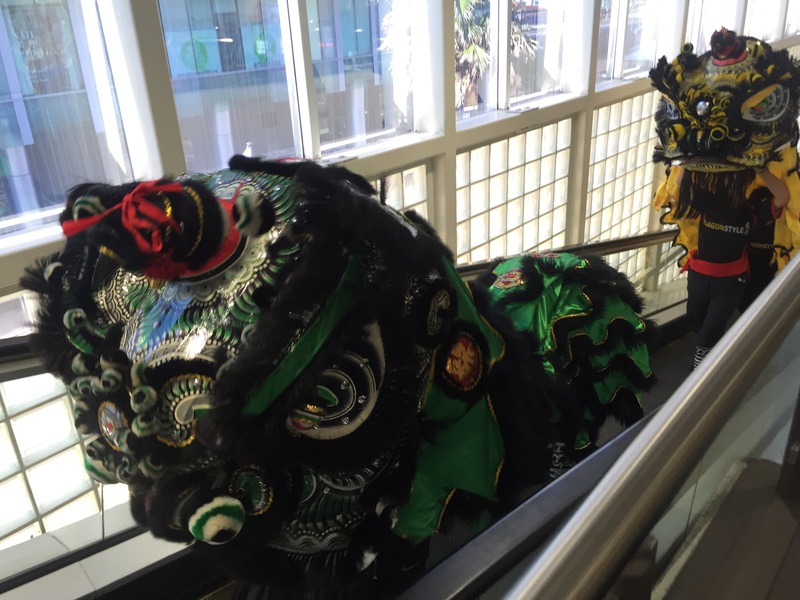 There was a huge amount of colourful and pretty lions from both the Jow Gar Kuen school and the Dai Bi Quan An lion dance team. If you do a YouTube search, you’ll find plenty of videos of the two teams performing a meeting and then a set involving lots of beer and lots of alcohol! Looks like they had lots of fun. 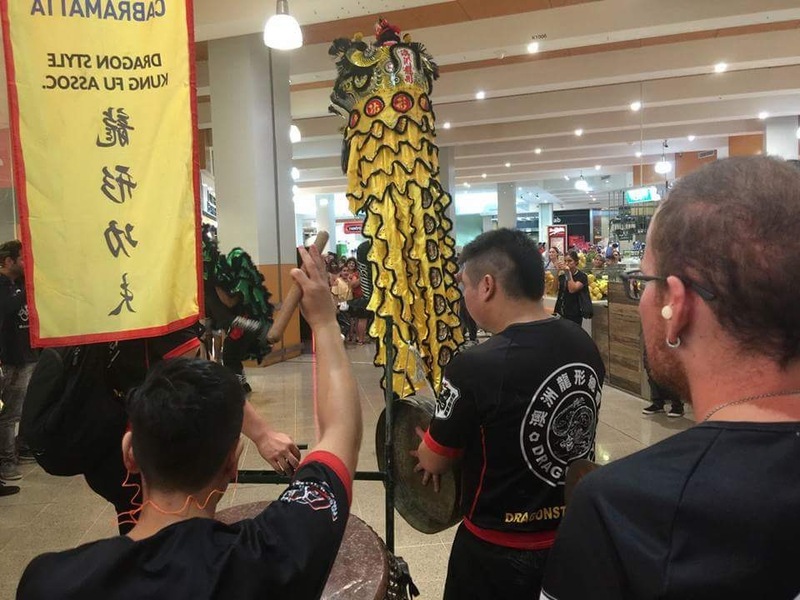 Back in Sydney, I was able to participate in some of the lion dancing myself with the Sydney Dragon Style Kung Fu team. 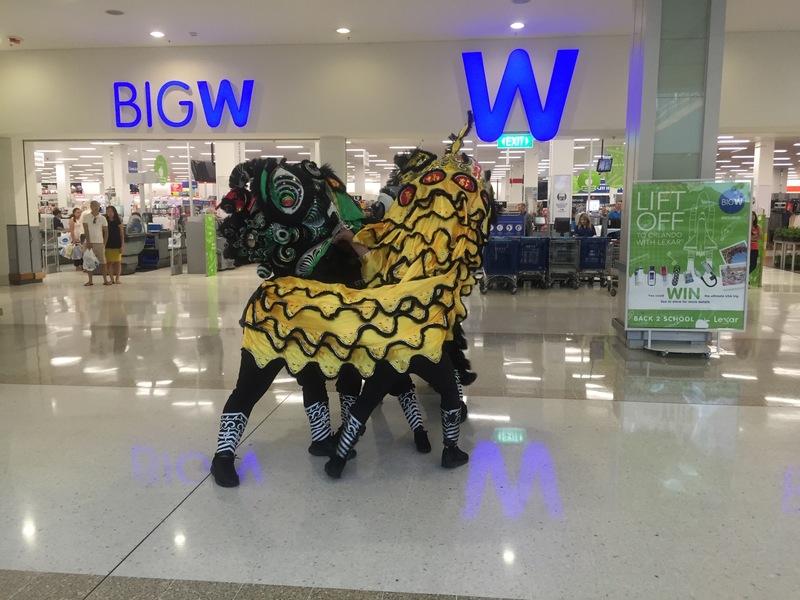 It was a jam packed day with lots of performances in a number of different shopping centres. It’s sometimes a little disheartening when you start a performance and not many shops put up a Cheng. All that hard work in training and not a time to demonstrate your skills. 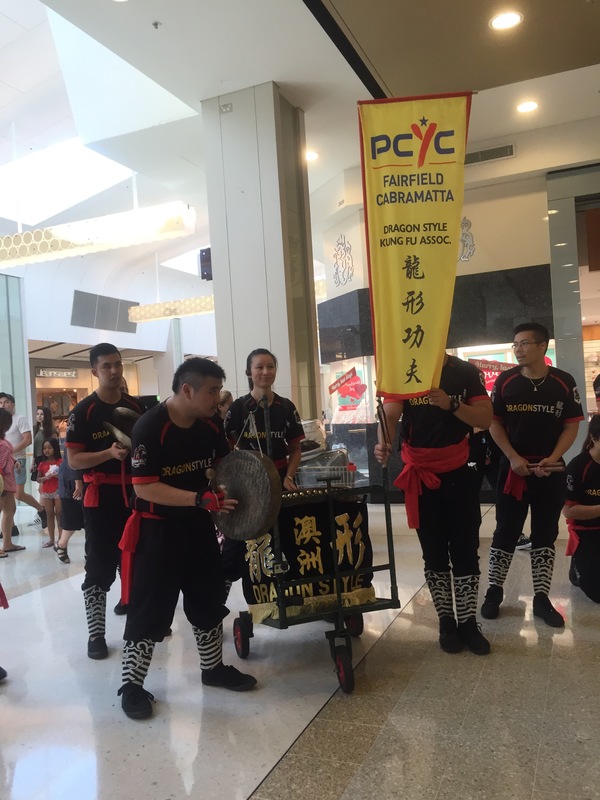 That felt like it might have been the case when we started at a few of the shopping centres but fortunately as we slowly paraded around the shops, it became was quite atmospheric as lots of the stores that we were approaching scrambled to hang up a Cheng. Everyone (shopkeepers of all nationalities) was getting involved and in the end it felt like we were rock stars! Happy new year everyone. 新春快樂。Chuc Mung Nam Moi! It’s been a blast down in Sydney with performances happening everywhere and plenty more to come. 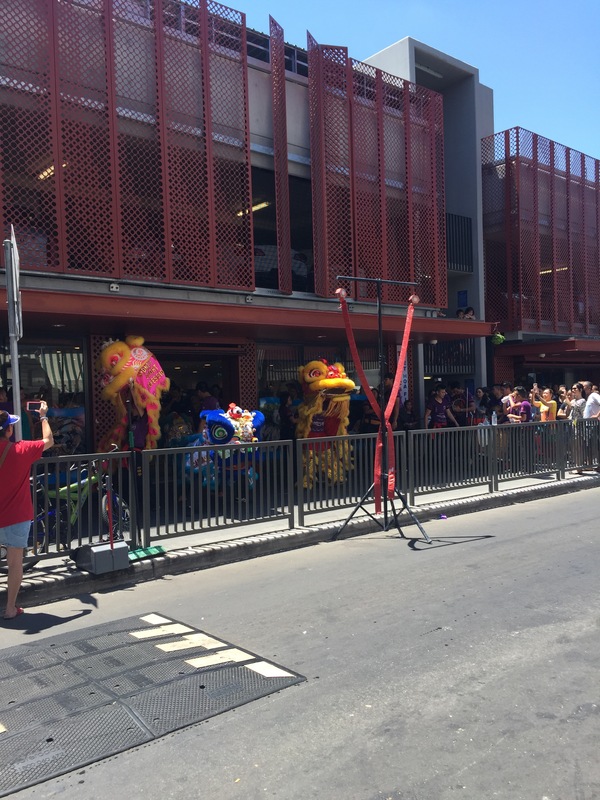 The new year came early with lion dancing performances beginning in early January in Sydney’s Chinatown. 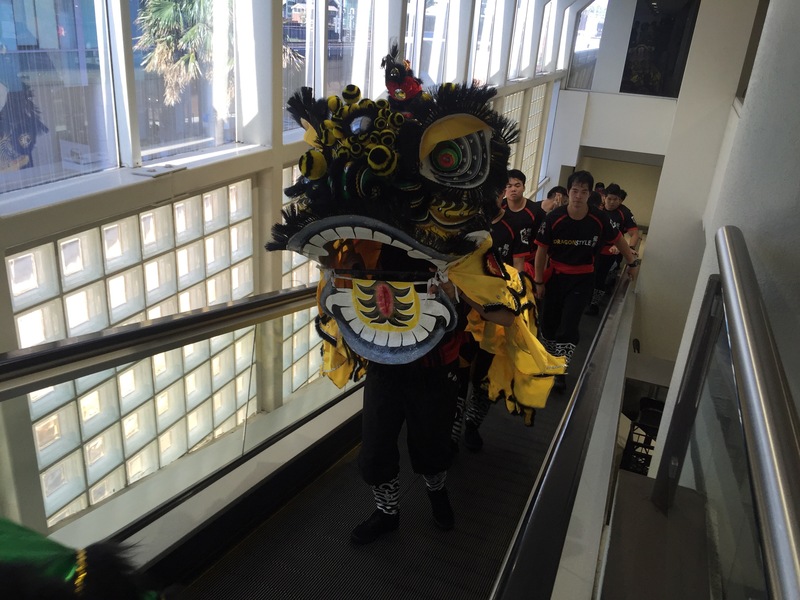 I didn’t manage to catch my first glimpse off lions nor the thunder of drums and firecrackers until Chinese New Year eve though. Im going to share with everyone my yearly ritual. I’m sure a few of you might be able to relate to this yourselves whether it be in Sydney or anywhere else around the world. 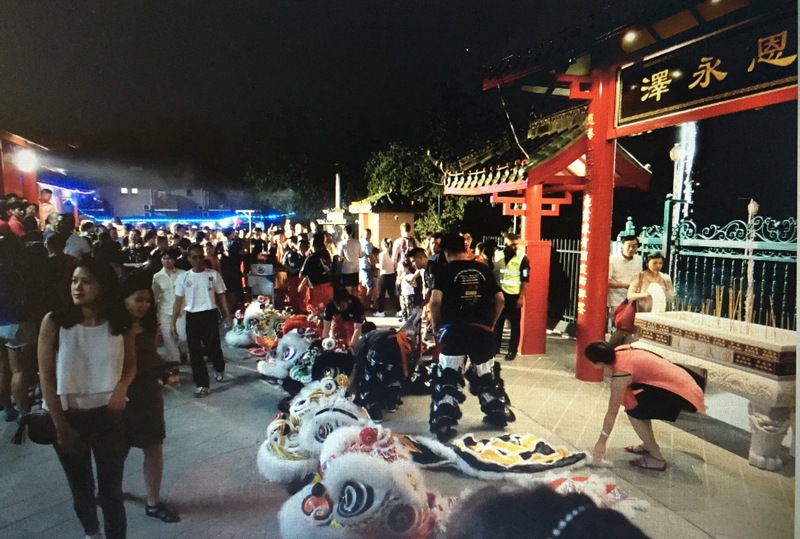 It involves having a family dinner to round out the new year before doing the rounds of the temples. You make your way out to the temple, not too early but always just on the right time. It is always funny approaching the temples. 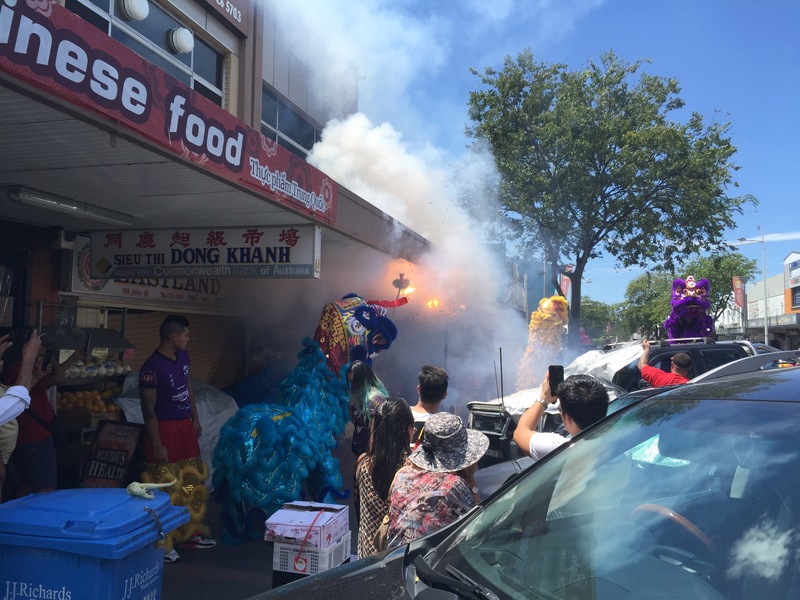 I switch off the car music, windows are down, and my ears are perked up trying to capture the faint but always audible “ding” that is the signature gong sound of a few of the teams in the Cabramatta area. When I hear it, I know I’m late and without wasting any more time, I hastily find a parking spot and run down to watch. My first stop was the Ming Yue Lay Temple in Bonnirig. 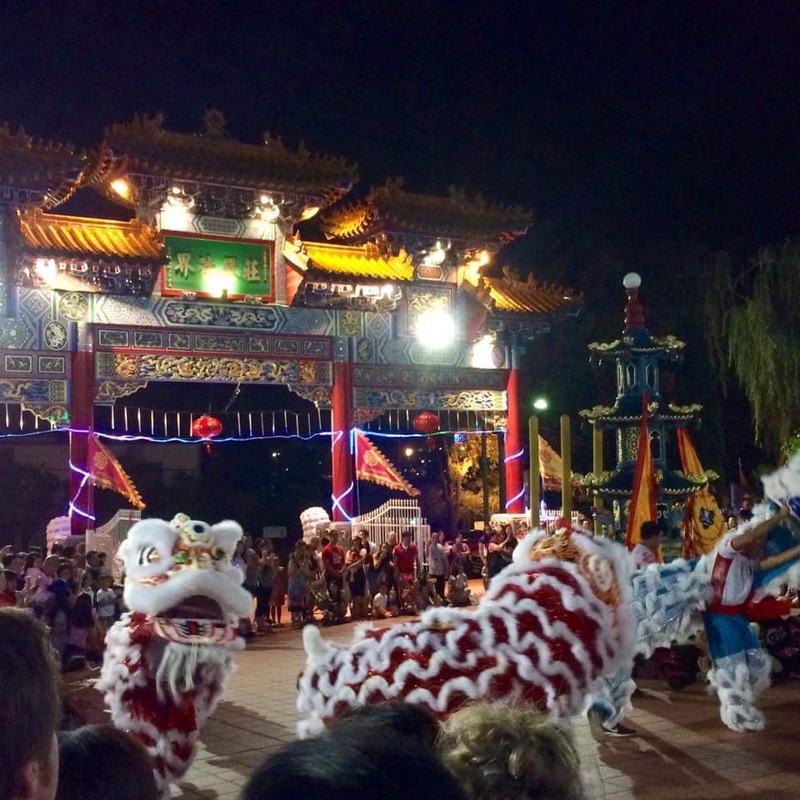 One of the larger Chinese temples in western Sydney and one that always draws crowds. 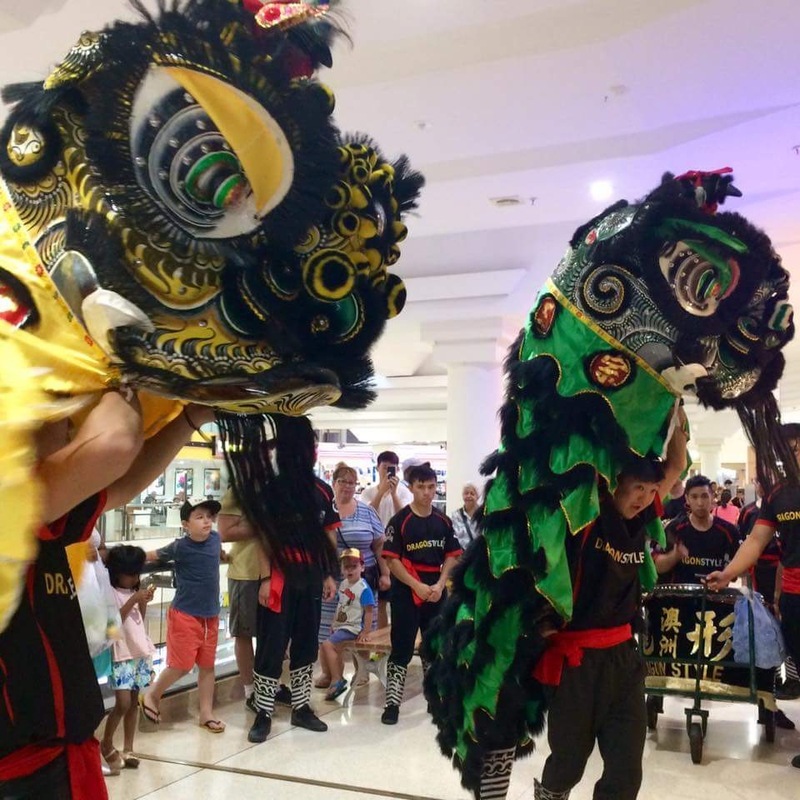 There were plenty of people there giving the place an eclectic atmosphere and to cut through all the buzz was the Australian Teo Chew Association performing with their colourful lions. As always, they did a great set with their big group of lions dancing and then breaking off to do individual shows for everyone. 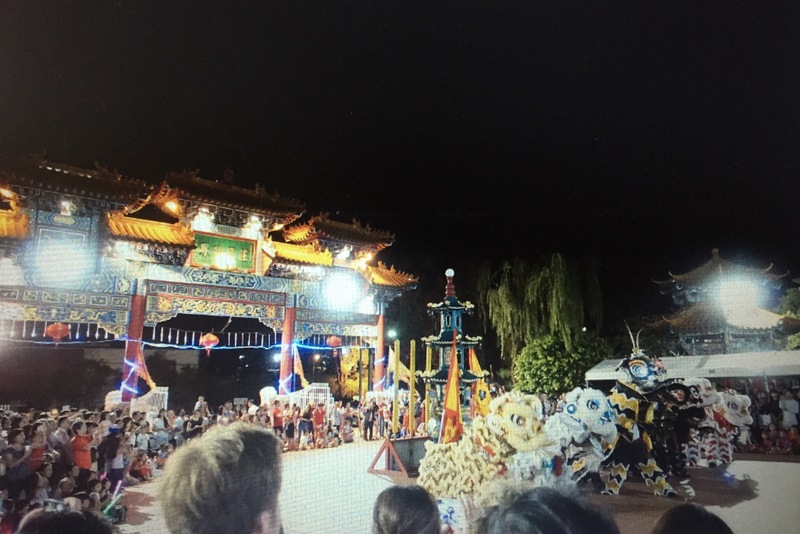 Next stop on the map is a drive to Canley Vale’s Kwan Yin temple with drive bys of the Australian Kin Fu Ma Zhu temple, Chua Minh Hoang, and Tin Hau Temple. I don’t know what I want to achieve with driving by those temples. I don’t have time to get out of my car and watch. Maybe it’s the feeling of knowing which team is doing what and where and knowing what other teams are getting up to. 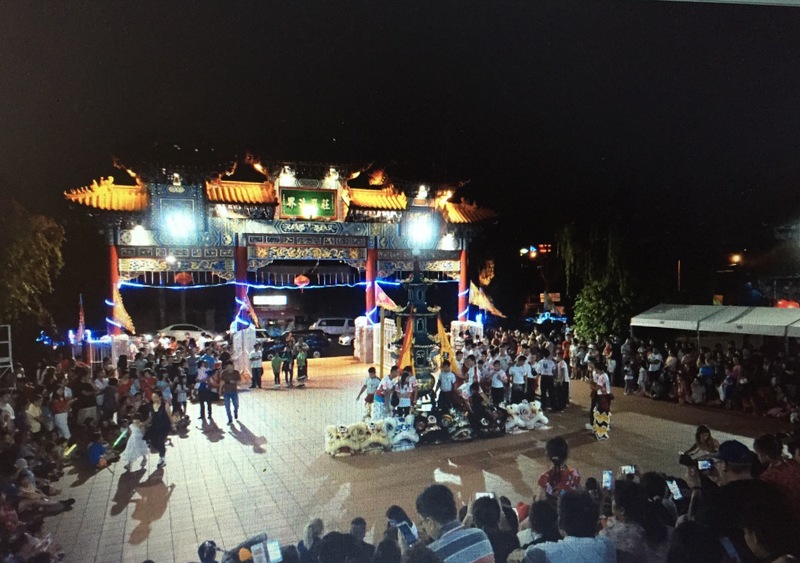 Same ritual, approach temple miles out, music off, windows down, ears perked up, car slows to a roll, stare at temple, no lion dancing? Speedy get away! 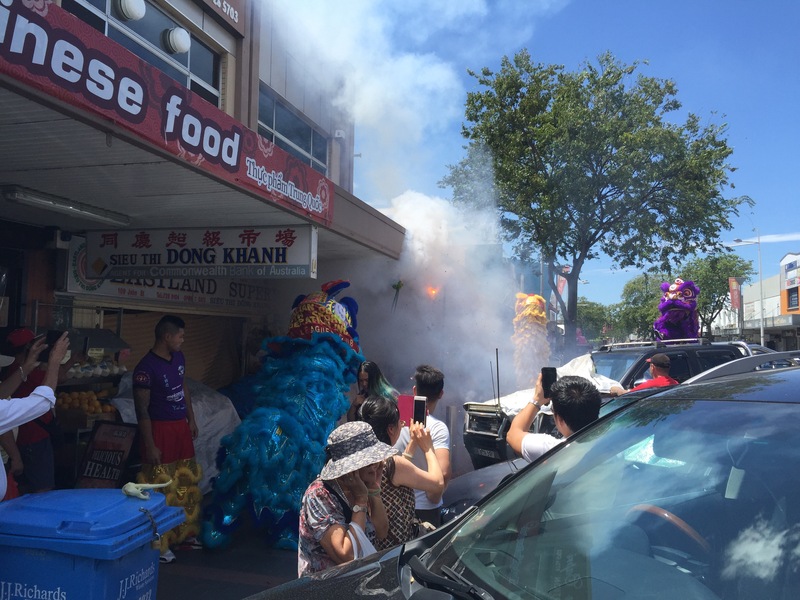 Over at the Kwan Yin Temple, I could hear the drums and the gong being bashed from blocks away! 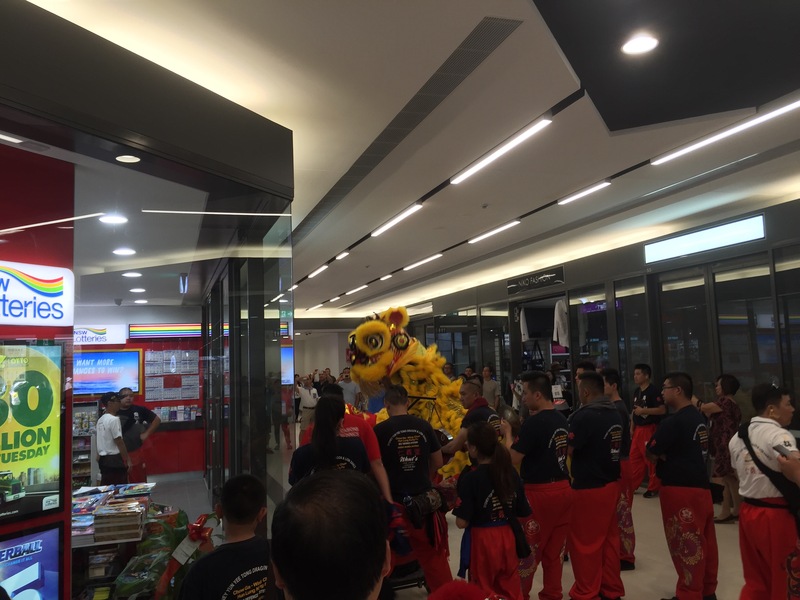 Performances are in full swing with Yun Yee Tong doing a number of lion routines. I also missed some of their Kung fu demonstrations but fortunately with social media, a lot of the that was captured on footage. I believe the Central Coast Jow Gar team, and some of Head Academy Jow Gar were there with Yun Yee Tong (also Jow Gar) to do demonstrations. 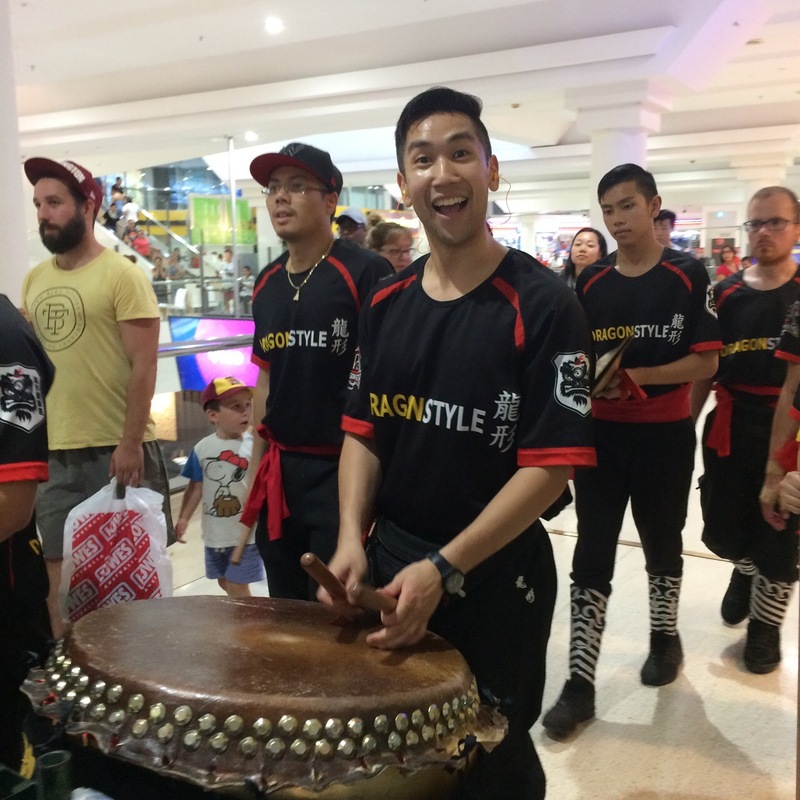 As a martial artist myself, it’s always exciting to watch other people belt out their forms. I know a lot of hard work, sweat and perseverance has gone to make these martial artists great and getting to do forms in front of a crowd is one of the few times we get to show to everybody else what we ‘secretly’ do on our weeknights. I hope they had fun! 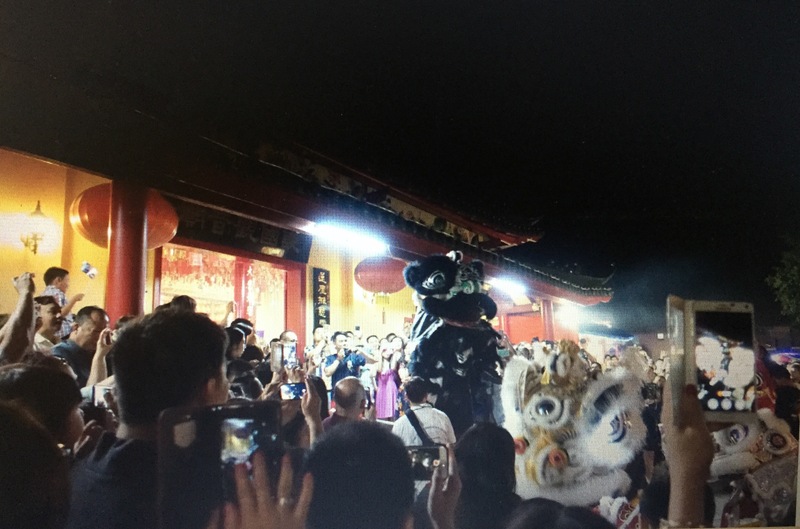 And as usual, about 10 minutes before the stroke of midnight, the lions reassemble themselves in front of the main temple hall. 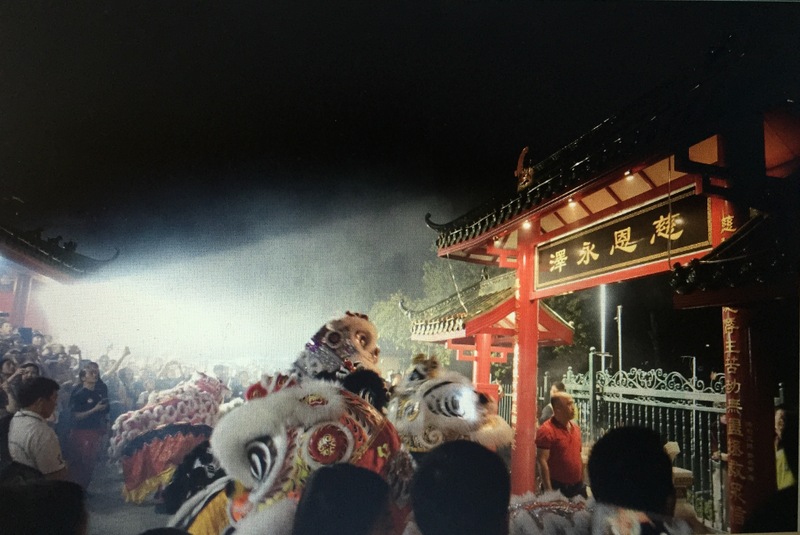 They dance in line whilst one of them choy cheng (timed to coincide just before midnight). The temple staff come out and light the million strings of firecrackers which is always exciting for my ears. (Maybe not for everyone who’s standing too close. It happens every year. 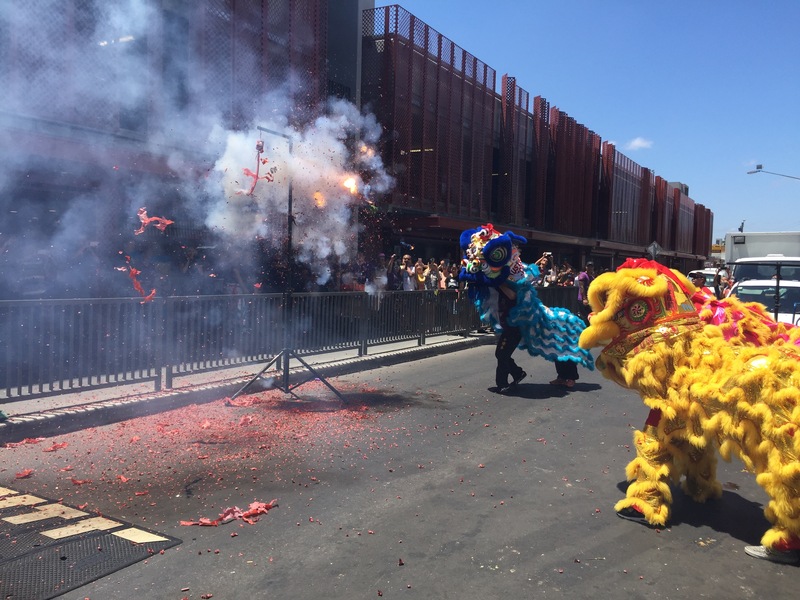 Because it is a temple and private property, there’s not a lot of official looking council workers or pyrotechnic people shooing everyone to 100m away. You stand wherever you like and if you’re too close to the firecrackers you run or more like push your away to get away. All whilst pointing your camera at the firecrackers trying to live stream it, having your free hand blocking one ear and trying your best to raise your shoulder high enough to give some level hearing protection for your remaining ear). The firecrackers are used as a surrogate countdown to the new year because right afterwards, the fireworks go off. And I mean they go off. These guys don’t hold back. I’m usually a firecracker person and don’t find fireworks that exciting (you’d think that the world famous Sydney New Year fireworks over the harbour bridge every year would whet my appetite but nope). However, this is different. 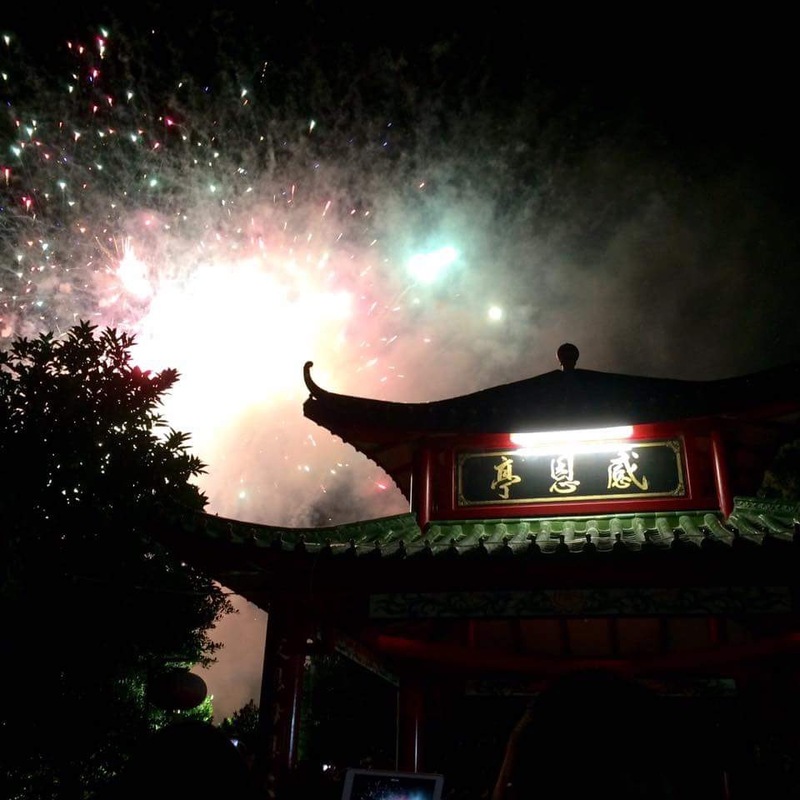 I think the combination of a great set of fireworks, the fact that it explodes so close over our heads and the Chinese temple facade in the foreground gives it such a great atmosphere.